The East Asian collection at the University of Calgary supports the teaching and research needs of all students & faculty. The book collection is located on the fifth floor of the Taylor Family Digital Library. Bibliography of Asian Studies (BAS) contains nearly 900,000 records on all subjects (especially in the humanities and the social sciences) pertaining to East, Southeast, and South Asia published worldwide from 1971 to the present. Full-text electronic versions of chinese academic periodicals including: Literature/history/philosophy; Economics/politics/law; and Education/social science. The 7,400 entries in this dictionary are new phrases, expressions and popular terms that have appeared in the last 50 years. Political and scientific terms, cultural and military affairs, and other subjects are represented, with examples of usage. 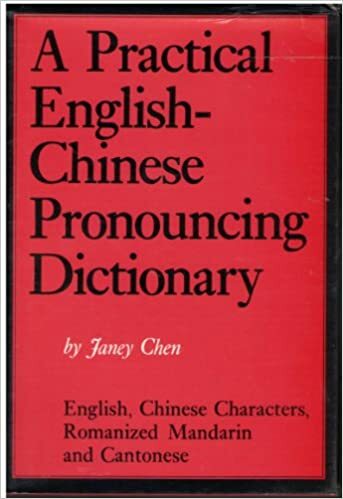 Containing more than 15,000 common words, this is an indispensible reference for those students of Chinese ready to dive straight into everyday conversation.